The ATP quality player heavy Mutua Madrid Open qualifying concluded Sunday with five seeded players, and two unseeded players filling out the qualifying spots, while a lucky loser was also placed in the draw, due to Tommy Robredo pulling out of the tournament with an injury. Aussie young gun Thanasi Kokkinakis improved to a remarkable 13-0 in qualifying at the ATP level this year as he scored big wins over Matteo Viola and Janko Tipsarevic to qualify. Tipsarevic has been improving his results since returning from injury, and he’s had success in Madrid before, but Kokkinakis was clutch and won a third set tiebeak 7-4 to advance in three sets, after dropping the second set. Daniel Gimeno-Traver continued his tremendous run of form over the past few weeks on clay, the 29 year old Spanish grinder, who reached the final in Casablanca, the semis in Bucharest, and the quarters in Istanbul, will now have a chance to improve his results at the Masters level. He rolled over Javier Marti and Marsel Ilhan, as neither were a challenge compared to Roger Federer, who he took a set against in Istanbul. Alejandro Gonzalez of Colombia was 1-4 in his last five matches on clay going into the Madrid qualifying, but he scored a pair of quality wins, as he defeated Kenny De Schepper in 3 sets, and then upset Joao Sousa in 3 sets as well. Sousa would later be placed in the draw as a lucky loser though, so his day wasn’t entirely ruined. Gonzalez has struggled this season, but perhaps this run in qualifying can be the spark he needs to carry him into the summer. Albert Ramos will be another Spanish player in the main draw of Madrid, the 27 year old lefty with his spinning shots beat Ivan Dodig via 3rd set retirement and then rolled over Ricardas Berankis to qualify. He’s actually struggled on clay this year, but historically it’s been his best surface, and he’s looking to make some noise in the main draw. Right now he’s been very unpredictable. Thomaz Bellucci, is another left handed qualifier, the Brazilian beat Michael Berrer, and then Federico Delbonis (in a nailbiting third set tiebreak), to qualify, he comes off the quarterfinals in Istanbul and he’s a threat on clay as well. The unseeded qualifiers were Alejandro Falla, a Colombian veteran (and lefty), and Luca Vanni, an Italian veteran having his career best year in pro tennis. Falla, who has been poor on ATP main draw clay over the past three seasons (4-13 since 2012), will have a chance to improve that record. He upset Sergiy Stakhovsky, and then beat Roberto Carballes Baena, a Spaniard, to qualify. Vanni, who had a miracle run to the Sao Paulo final as a qualifier not that long ago, beat Carlos Berlocq and then Nicolas Mahut in three sets to snap a four match losing streak and place himself in his first ever Masters 1000 main draw. Gimeno-Traver has been drawn against Nick Kyrgios in a highly anticipated round 1 clash of in-form warriors, Bellucci has been given a winnable match against Jeremy Chardy in round 1, Gonzalez will face American Steve Johnson, Vanni will do battle with non-clay courter Bernard Tomic, Falla will face a fatigued Philipp Kohlschreiber, Kokkinakis will have a great chance to beat Sam Querrey, Ramos will face Istanbul finalist Pablo Cuevas, a possibly fatigued opponent, and Sousa will face Jerzy Janowicz as the lucky loser. 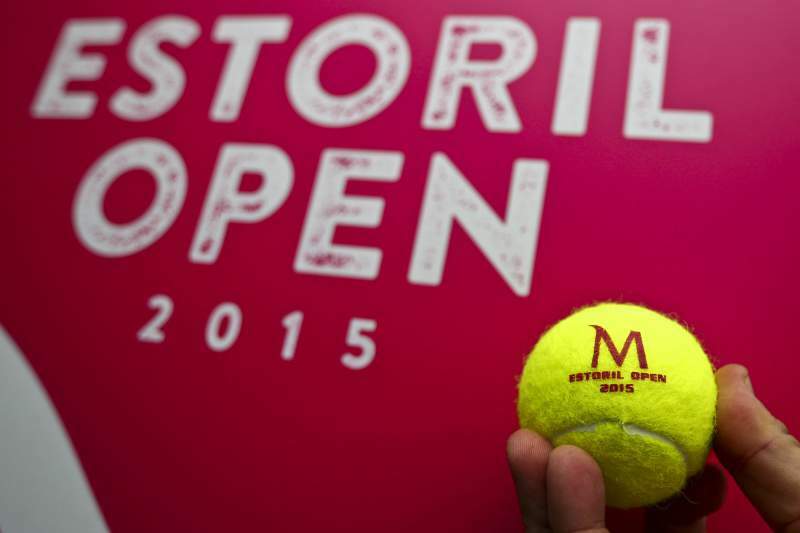 Monday at the Estoril Open saw the last round of qualifying being played, as well as the beginning of the singles main draw. The last of qualifying brought a lot of disappointment to the Portuguese players and fans as both Pedro Sousa and Frederico Gil lost in very close matches, faltering in the deciding stages. Sousa led in both sets against 22yo Constant Lestienne, but his terrible play on big points – including no points won on serve in the deciding set tiebreak – cost him dearly and it’s the Frenchman who advanced to the main draw, where he will face Pablo Carreno Busta on Tuesday afternoon. As for the 2010 finalist of this event, Gil, he won the first set and was up 4-2 in the decider before getting broken back and then getting broken from 40-15 up in the last game to give away the match in what turned out to be another disappointment result in his attempt to return to the level he once reached before illness derailed him. His conqueror, Martin Fischer, will be facing Albert Montanes in round 1 of the main draw. First seed Kenny de Schepper and fourth seed Roberto Carballes Baena secured very comfortable, one-sided wins and advanced to the main draw as well; De Schepper will open up against home favorite Gastão Elias, who reached the quarterfinals of this event in 2013 and 2014, while Carballes Baena will take on his countryman and newly crowned Bucharest champion Guillermo Garcia Lopez. As far as main draw action is concerned, Robin Haase opened up the proceedings against Ricardas Berankis; it was a very tight affair throughout, with plenty of momentum swings and players getting tight on key junctures but in the end the Dutchman managed to book a round 2 date with the tournament’s #1 seed Feliciano Lopez, though not before another trademark tiebreak loss in the second set. Filip Krajinovic had little trouble disposing of Alejandro Gonzalez with his bigger serve making the difference in a match that featured a lot of long, tightly contested rallies; the Serb will now face either Nick Kyrgios or Albert Ramos in round 2. In what was perhaps the most anticipated match of the day, 18yo Borna Coric beat Jeremy Chardy in relatively straightforward fashion, avenging his Australian Open loss to the same opponent; as is often the case, Chardy hit his fair share of blistering winners but those were heavily outnumbered by the borderline ridiculous unforced errors; the young Croatian didn’t need to do anything all too special, the baseline consistency that we’ve come to associate with him was more than enough to prevail over Chardy’s inconsistent/erratic ballstriking. Next up for Coric is the winner of João Sousa vs Rui Machado, meaning that he must be feeling good about his chances of making yet another ATP quarterfinal. In the final match of the day on Center Court, 20yo Portuguese hope Frederico Silva took on Gilles Muller in a rare battle between two lefties. In the first set, Silva conceded an early break and was powerless against Muller’s fantastic serve, but he fought back in the second set, taking advantage of a dip in Muller’s serving level to sneak a break and level the match. He seemed to carry that momentum into the third set and got an early break chance, but after squandering it with a missed second serve return he checked out from the match mentally and it was all Muller until the end. Though this a very rare claycourt winner for the Luxembourgian, his run might well not be over with Fischer/Montanes looking like beatable opponents in the next round. On Tuesday, Kenny de Schepper and Gastão Elias will open up the proceedings at 1pm on court 2; it’s a match where, given the surface and his history of good performances at this event, the Portuguese player has to be considered the favorite, though De Schepper’s huge serve always gives him a shot on a great day despite his general shortcomings on the clay; after that, Bucharest champion Guillermo Garcia-Lopez will face Roberto Carballes Baena and although form and ranking suggest Garcia Lopez should win, it won’t be easy for him to get going again after such a great week in Romania, it is after all rare for players below the very top to string consecutive great weeks of tennis and there’s bound to be a physical and emotional letdown after winning a title. Not only that, but when these two faced last year in the Casablanca semifinals Carballes Baena pushed eventual champions Garcia-Lopez to the very limit; considering that, the good form Baena showed during the qualifying tournament and the challenge that it will be for Garcia-Lopez to back up a title run last week, an upset could very well be on the cards in this one. On court 3, Pablo Carreno Busta will take on qualifier Constant Lestienne; the Spaniard is the obvious favorite but he’s not immune to upsets against lower ranked players as we’ve seen multiple times in the past year, not to mention that due to the way he plays he’s always vulnerable to opponents playing good quality attacking tennis. Lestienne must feel he’s in with a chance to spring an upset here. 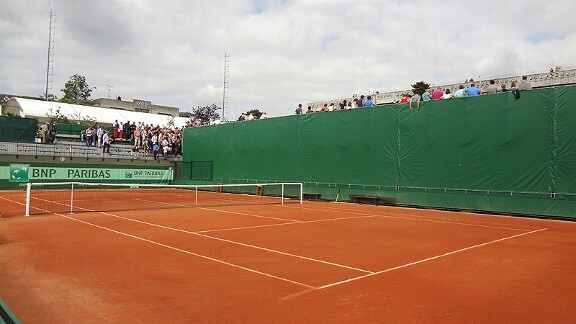 After that match, the 2009 and 2010 champion of this event, Albert Montañes, will take on Martin Fischer; Montañes is heavily declined and a mere shadow of the player who claimed back-to-back titles on Portuguese soil – even beating Roger Federer in the semifinals of the 2010 tournament – but should still have the edge in this contest. On center court, Richard Gasquet will make a long-awaited return from the injury he sustained against Michael Berrer in Indian Wells; though there might still be some question marks about his health and especially match fitness, the draw was quite kind to him, pairing him up with Marinko Matosevic in round 1, a player who is notorious for his lack of success on clay. Even if he’s still rusty, the 2007 and 2012 finalist (lost to Djokovic and del Potro) should make it through to round 2. At 4pm, the all-Portuguese clash between Sousa and Machado will take place; while Machado was once, not too long ago, the highest ranked Portuguese player of all-time, he’s nowhere near that level currently and Sousa has surpassed him in pretty much every regard and is the clear favorite for tomorrow, though Machado is not without his chances, especially if he can repeat the level he showed last year at this tournament. The last match of the day will be between young Aussie Nick Kyrgios and Albert Ramos from Spain; Kyrgios turned 20 years old on Monday and he will be looking to celebrate his birthday with his first clay win of the year, but it will be a tough ask against a seasoned claycourter like Ramos. Kyrgios has of course the much bigger game of the two players, but clay is not his best surface and he’s bound to still be a bit rusty after returning only last week from the injury sustained during his round 2 match against Dimitrov in the California desert, and there are plenty of question marks regarding his form, especially considering his match against Ymer last week in Barcelona wasn’t shown on television or streamed. 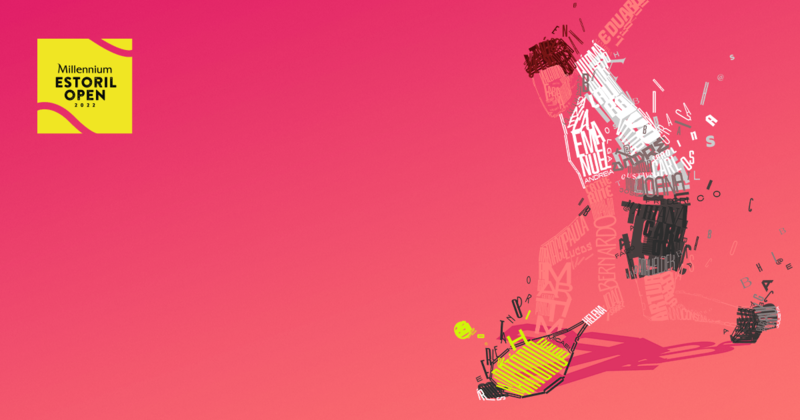 Posted in: Acapulco, Adam Addicott, ATP. 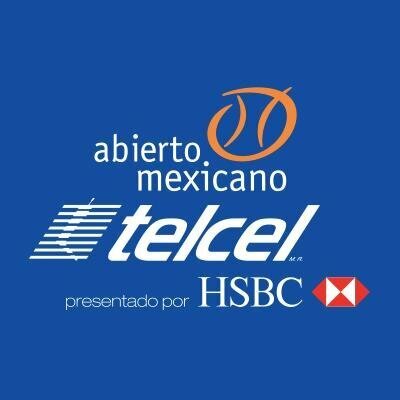 Tagged: 2015 Abierto Mexicano Telcel, 2015 ATP Acapulco, 2015 ATP Acapulco qualifying, Abierto Mexicano Telcel, acapulco, Alejandro Gonzalez, atp, ATP Acapulco, ATP Acapulco qualifying, Austin Krajicek, qualifying, Ryan Harrison, Thanasi Kokkinakis. The final round of qualifying at the ATP Abierto Mexicano Telcel Open commenced today with only one seed managing to reach the main draw. Third seed and world number 92 Alejandro González booked his place in the main draw following a 6-4 7-6(7-3) win over Jimmy Wang. The first set consisted of numerous breaks of serves with Gonzalez dropping his serve twice as Wang dropped three of his first four service games. After losing the first set, Wang did have the opportunity to make a comeback as he opened up a 3-0 lead in the second set, however, it soon disappeared as the third seed battled back to even things up as the set went into a tie-break. In the tie-break Wang furthermore faltered four times on his serve as the Colombian took full advantage to secure his place in the main draw. Ryan Harrison qualified for the main draw of an ATP event for the second consecutive time as he eased past Michael Russell. Harrison, who entered the draw as an alternate, enjoyed an impressive win over Alejandro Falla in the first round before today. This is now the fifth time that Harrison has beaten his fellow countryman since 2009. The 22-year-old is currently ranked 169 in the world which is over 100 places below is career ranking high of 43 which was achieved back in 2012. One of Australia’s biggest future hopes, Thanasi Kokkinakis, had to come from a set down before squeezing his way past the experienced Alejandro Falla. 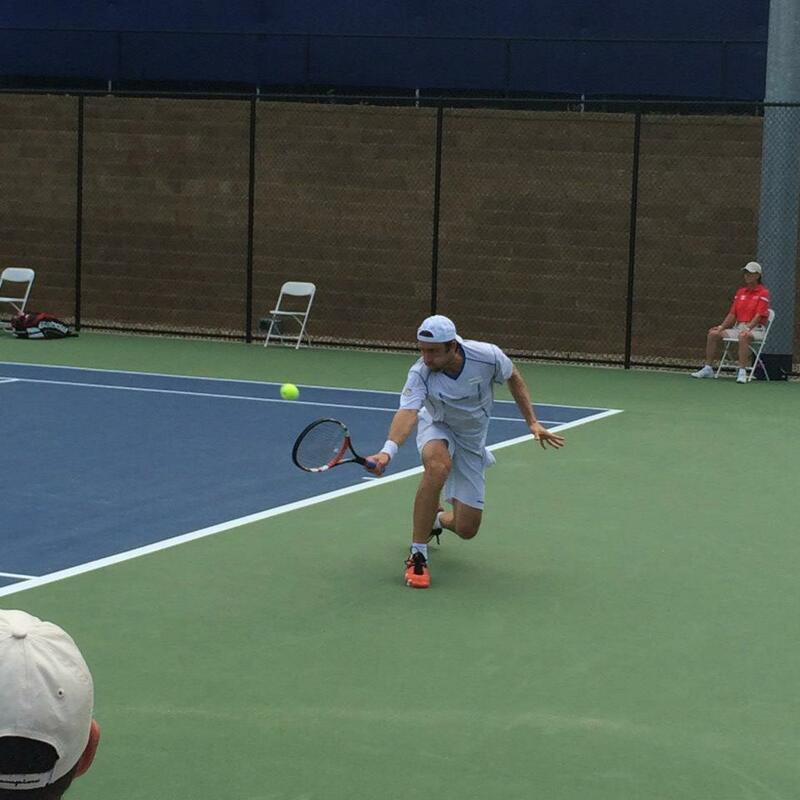 During the two hour and 43 minute match the Aussie battled to a 4-6 6-3 7-6(7-3) win. It’s the second event in a row Kokkinakis has qualified for (qualifed in Delray Beach) and he is edging closer towards the top 100 mark, he is currently at a career ranking high of 138 in the world. Following his win, Kokkinakis wrote about his win on Twitter. Finally, rounding off the qualifiers was Austin Krajicek. Krajicek, a distant cousin of 1996 Wimbledon champion Richard Krajicek, came in the draw with a good amount of confidence. During the Memphis Open at the start of the Month, the American qualified for the main draw and the produced surprise victories over Mikhail Kukushkin and Ivo Karlovic. In the final round today he produced a straight sets win over fourth seed Aljaz Bedene. Alejandro González v Kei Nishikori (1) – This will be the first time they have played each other on the tour since 2006! 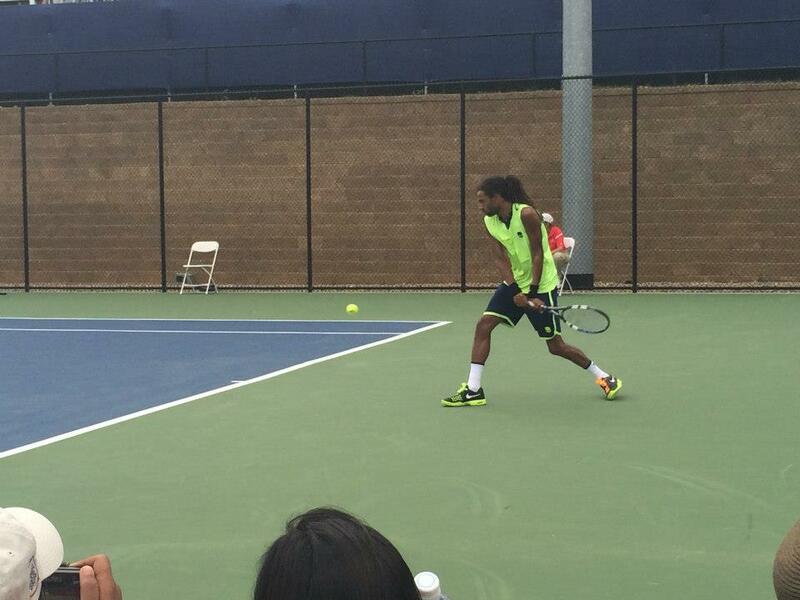 Posted in: ATP, Winston-Salem Open. Tagged: Alejandro Gonzalez, atp, ATP 250, ATP Tennis, benjamin becker, Benoit Paire, Damir Dzumhur, david goffin, Dustin Brown, men's tennis, Pablo Carreno-Busta, Robin Haase, tennis, winston salem, winston-salem open, WS Open. Sunday marked the beginning of main draw action at the Winston-Salem Open, as well as completion of the qualifying competition. The tournament’s top sixteen seeds received byes to the second round but there were still plenty of matches played around the ground nonetheless. 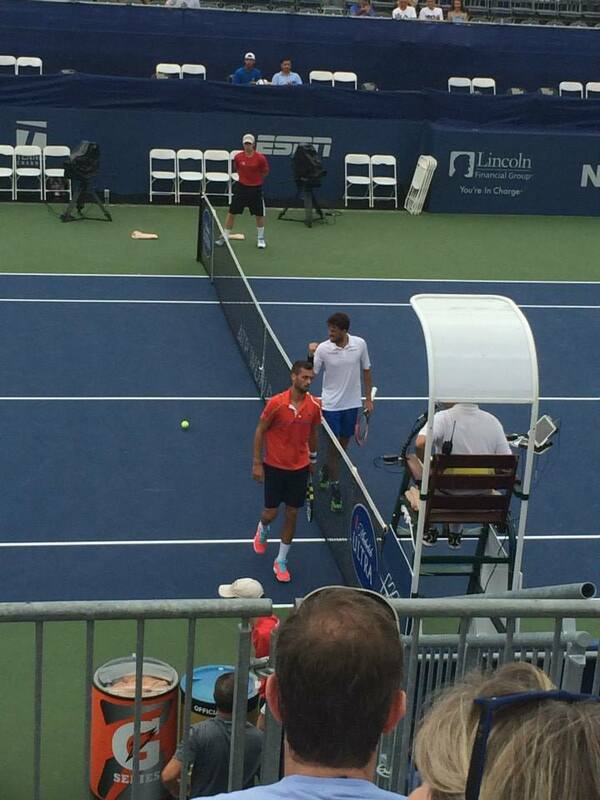 In the final round of qualifying, second seed Simone Bolelli was upset by Wayne Odesnik. While I did not watch this match, I was able to hear the crowd’s reaction and it seemed they were on Odesnik’s side, which is somewhat surprising in spite of Odesnik’s nationality given his reputation. While Odesnik came from a set behind to beat the flashy Italian, fourth seed, Damir Dzumhur struggled through a 6-4 6-4 win against Austrian doubles specialist Philipp Oswald.. The big-serving Oswald, who towered over Dzumhur, grabbed the early break but failed to compete as the match became more physical. Dzumhur struggled to close out the match from 40-0 but held on to seal the win. Top seeded David Goffin- who would be seeded if he had made the cut for the main draw six weeks ago- had his weak serve punished on numerous occasions but was too solid from the baseline for Jason Jung, who faded to a 6-1 second set after a hard fought 7-5 first. 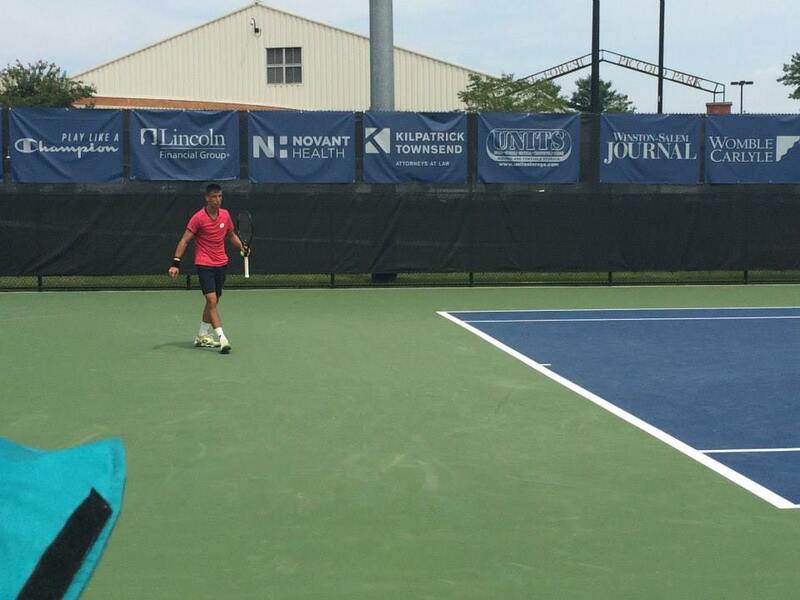 Marcos Giron won a battle of unseeded players as he came back from a set down to qualify against Mate Pavic. Following the end of the qualifying tournament, the main draw action began. Benjamin Becker took on Pablo Carreño Busta in a topsy-turvy match that spanned three sets. Carreño Busta allowed Becker to dictate the match at all points except perhaps when he was up a break in the second. The German seemed to go on holiday between a first set where he overwhelmed the Spanish clay-courter with his power and a third that was much of the same. Becker’s powerful serve proved to be an obstacle for the Spaniard throughout and Carreño Busta won a dismal 13% of first serve return points in the match. Credit to the good spirits shown from PCB post match, he was more than happy to sign autographs for children even after his defeat. Nicolas Mahut was never troubled in a straight set win over Blaz Kavcic. Kavcic has bettered his ranking significantly in the past few months with success at Challengers and was arguably in better form than the French veteran, but lost by a tame 6-3 6-2 scoreline. Dustin Brown delivered the day’s best performance with an incredible 6-3 6-2 shellacking of Alejandro Gonzalez. Brown went up 5-1 in about fifteen minutes with a dazzling display of serve and volley, return winners, drop shots, and huge serves (though relatively rarely aces). It appeared his level had come to Earth briefly when Gonzalez recaptured one break with a “vamos” but Brown was equally ruthless in the second set. Gonzalez did not play poorly, but simply looked out of his league, getting sympathy from the crowd for being on the wrong end of one of the most flawless performances of the season. The final match of the day session on Center Court pitted Robin Haase against Benoit Paire in a battle of underachieving talents. Paire argued with the umpire after equaling the match at a set apiece over what appeared to be a Haase toilet break, only to then (in protest?) sit down when Haase broke for 2-0 in the decider saying he couldn’t play and leave the court for an extended period at 3-0, leading Haase to have his own words with the umpire. After Paire extended very little effort at 5-2, Haase won the three setter in what will be remembered as yet another match in which Paire defeated himself. In evening session action, Bradley Klahn survived a topsy turvy 3 setter with young American wild card Noah Rubin to win 6-2 0-6 7-6. Rubin struggled to get accustomed to Klahns big serve in set 1, but after Klahn started spewing errors, his aggressive approach and lanky strokes won him a decided advantage in set 2. In the third, Klahn got back in the saddle and was up 4-1, but Rubin clawed back and from 5-5 they went to a tiebreak that Klahn edged out. Given it was his first match back from injury, the struggles from Klahn were to be expected, and Rubin put up a good account for himself. Both players have plenty to work on going into the US Open. Fellow American Ryan Harrison joins Klahn in round 2 after a late night 6-4 6-2 victory over JL Struff. Tomorrow’s schedule marks the conclusion of the first round, the beginning of the second, and the start of an extremely drawn-out first round of doubles. Defending champion Jurgen Melzer opens against David Goffin on Center Court, a match that pits the oft-injured Austrian against a player coming back from injury problems of his own. Had they been healthy in the past twelve months, both of these players would have been seeded. As it is, only one will make it to the second round. That match is to be followed by an impossible to call battle of veterans in a match between Paul-Henri Mathieu and wild card Robby Ginepri. Sam Querrey, whose name was properly spelled on the tournament banner this year, will end the day session with what should be a fairly routine match against Spanish clay-courter Pere Riba. The lone singles match of the night session will have fifth seed Guillermo Garcia-Lopez facing off against today’s hottest player, Dustin Brown. On the outside courts, Jerzy Janowicz will face Argentine Carlos Berlocq. Berlocq is the type of player that Janowicz must learn to beat consistently to return to the top twenty after a severe dip in form in 2014. Two up-and-coming lefties will face off when Martin Klizan plays what should be a simple match against Federico Delbonis, who has yet to prove himself off of his favored clay. Jarkko Nieminen will attempt to put last year’s disastrous match against Sam Querrey (in which he squandered a number of match points) behind him as he opens his 2014 campaign against Benjamin Becker. In doubles action, Daniel Nestor headlines on Center Court with (presumably temporary) partner Rohan Bopanna against the accomplished team of Robert Farah and Juan Sebastian Cabal. On Court 2, the wild card team of Jurgen Melzer and Lukas Rosol will face the odd pairing of world number 226 doubles player Pablo Andujar and world number 14 Marcel Granollers.